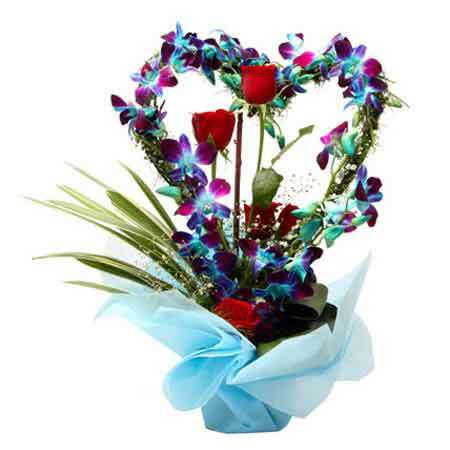 This heart shape arrangement of 8 blue orchids and 5 red roses in a transparent glass vasewith sky blue paper packing is perfect to create a magical charm on special ones with outstanding appearance. So full of majestic beauty, it will deliver any message of unuttered love and care. Purchase it online to see the blush of happiness on the faces of love ones.